Here at Kalinax we love data, but we also love caffeine. Thus, we're having a look at the interest our favorite brands provoke across the globe. 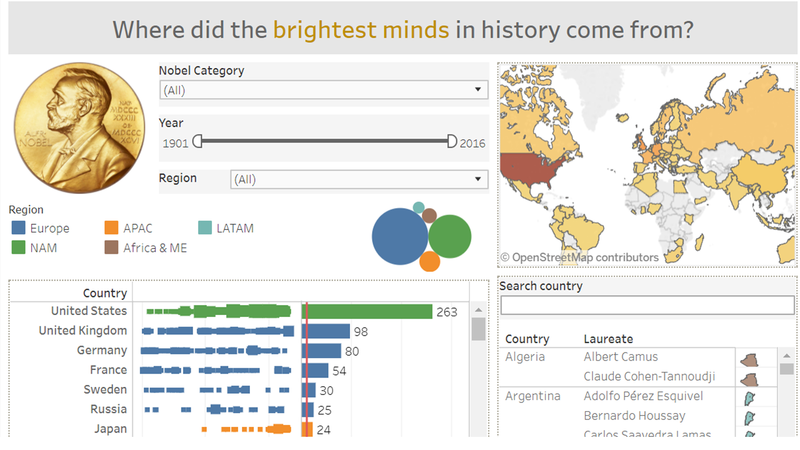 By using Google's open-source data on search, in this report we examine where in the world people are most interested in Nespresso - the most established capsule coffee maker. 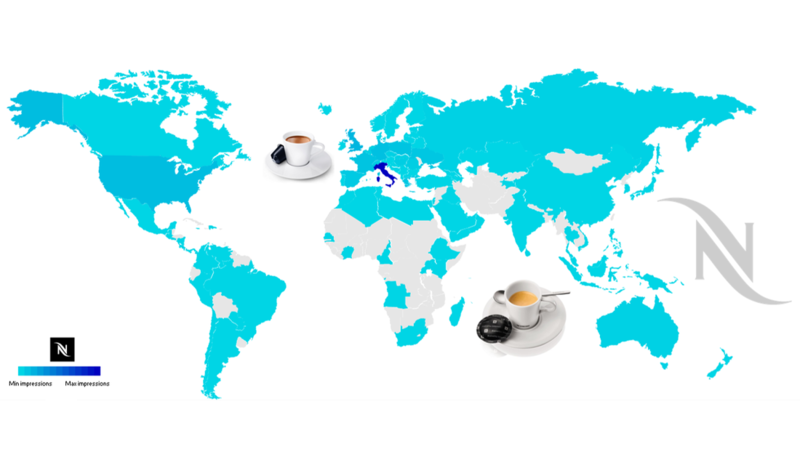 The Italians are known for their coffee-addiction, and it shouldn't be surprising they come on top of this chart. 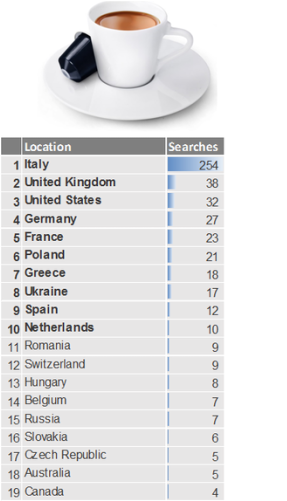 On average, 254 Italians search "Nespresso" every day. The UK and US come in 2nd and 3rd but far behind in terms of absolute numbers with an average of 35 searches for Nespresso per day. It is Europe where Nespresso lovers are based. The United States is the only market outside the Old Continent which made the Top 10. The list is shared by countries with internationally recognized coffee culture - Italy and Greece, and what we call "emerging coffee markets" - countries that embraced coffee more recently like Poland and Ukraine. The presence of developed Western countries in the top is reflective of the ever evolving coffee cultures in some of the world's major economies, and is yet another function of the generic rise in global coffee consumption which rose by close to 13% between 2009 and 2014 alone according to statista.com. For Nespresso however, there are more territories to conquest. Australia and Canada, right at the bottom of the top 20 countries of interest of Nespresso origin at present, seem like two reasonable places for the Marketing team to start with. Our experts are working on more insights for all you coffee lovers - keep an eye on our website and our Twitter account @KalinaxGlobal.